It’s not every day you get handed a song featuring a female legend like Rah Digga! Milwaukee Native Emcee, Taiyamo Denku is a beast on the mic on his own but he isn’t afraid to share his spotlight with others and the results are nasty! 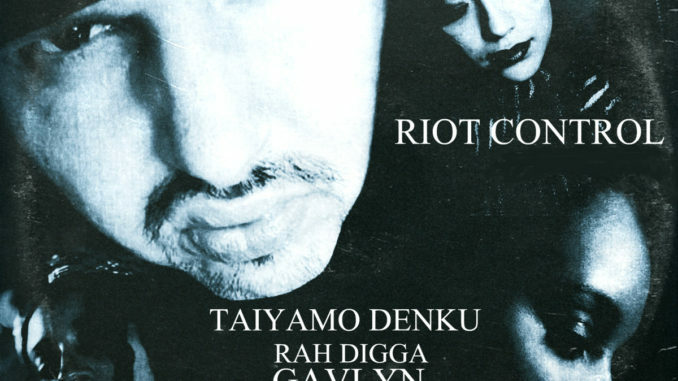 Because of this he’s worked with people like KRS-One, Snoop Dogg, Kool G Rap, Copywrite and more, but right now you need to check out his new Maxi Single RIOT CONTROL featuring Rah Digga, Gavlyn & Perseph One! The Maxi single includes the instrumental, a remix, the acapella and bonus tracks featuring aTHeNa, John Doe, Katana Da Don, Shante and Sa-Roc!